House of Fraser has had its credit rating downgraded by investor agency Moody’s amid weak performing sales. The news follows three consecutive quarters of poor financial results at the department store chain due to both challenging market conditions and company specific factors, notably disruption caused by the launch of a new web platform and underperformance in own brands. 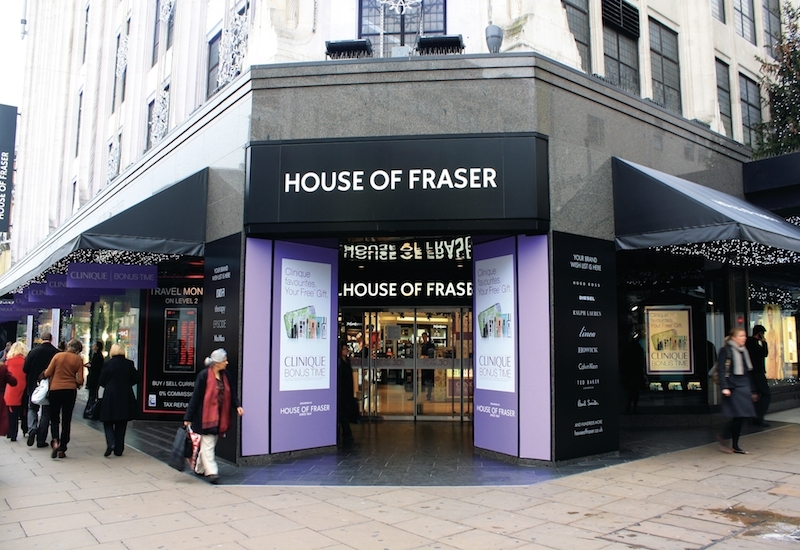 “Absent an unexpected general uptick in consumer demand, a recovery in HoF’s profitability is dependent upon either an improvement in the company’s product offering or in cost savings initiatives, which each involve execution risks,” said Moody’s vice president and senior credit officer and lead analyst for House of Fraser, David Beadle. In September, House of Fraser said its half-year sales and profits have taken a hit following the re-platforming of its website and a period of heavy discounting. The retailer’s total gross value for the 26 weeks to 29 July was £545.8 million, while like-for-like sales declined by 5.2% against last year. The department store chain also recorded a half-year earnings loss of £8.6 million, down from a £900,000 profit in 2016. Meanwhile gross profits slipped 5% to £196.9 million over the period. House of Fraser said “significant disruption” was caused by a £25m “replatforming” of its website in April, although the group expects to be trading normally by the beginning of the final quarter of the year. Its finances were also hit by heavy discounting of its house brand stock to make way for a new womenswear range, which launched for AW17.